This week’s photo challenge asks us to look at companionship. When I think of companionship, the first thought that comes to my mind is my wonderful husband, Sean. Irritatingly optimistic, he sees the good in everything and everyone. There’s always a bright side and things have a way of working themselves out. Ironically, a lesson I taught him years ago, but I’ve never been good at taking my own advice. He is my number one supporter and does everything in (and often tries beyond) his power to make me happy, no matter how out there my plans may be (“Picking bucket-loads of dandelions in the park and turning it into wine is a fantastic idea! You’ll see…”). And while on more than one occasion I’d rather sit there and wallow in self-pity, he’ll find a positive angle and somehow extract a smile. I gather he’d rather I not wallpaper the internet with photos of him or us, especially since I have a habit of saving the sillier and less flattering photos (even in marriage you sometimes need some leverage…). And this is a food blog after all. So instead, my spin on companionable is rooted in my kitchen. 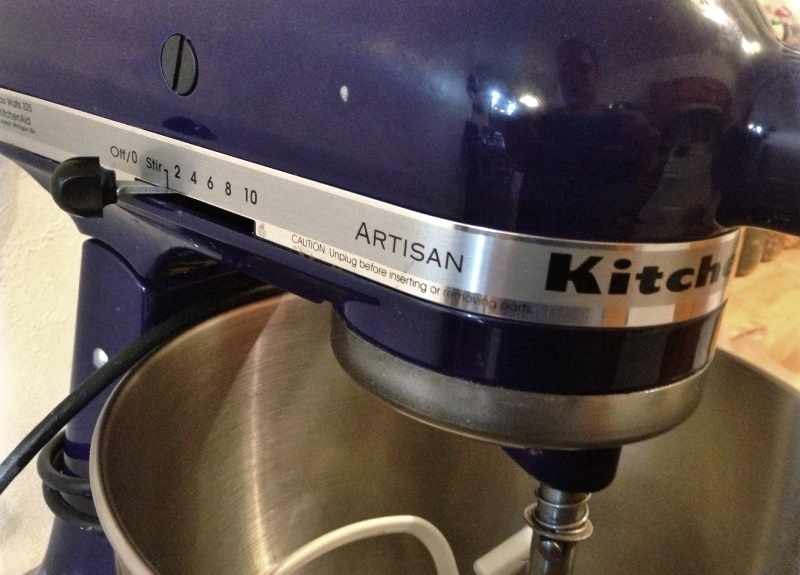 My favorite tools and appliances that I couldn’t possibly live without. There is a high probability that in case of fire I might dive to save my KitchenAid over our wedding photos. Luckily my husband is speedy (when he wants to be), so I can count on him to save himself (and probably his 3 foot speakers). Next postCelebrate with Red, White and Blue! Nice post, I think my can’t live without list is pretty much the same as yours, I would have to add my balloon whisk to the mix, many times I go pioneer and use it instead of the stand mixer, I love Long Island wine, have to try that one. Happy 4th of July! Happy 4th of July to you too! I didn’t even think of my whisk! I’d also add my tongs (which I’ve only owned for 6 months–no idea how I lived without them) and canning pot, but they weren’t very photogenic. Paumanok I believe is not a member of the wine trail, so sometimes easy to mix. Their Chenin Blanc is pure summer in a glass. I get excited for its release every year but the ’12 is really fantastic. Tongs oh yes, forgot about those, couldn’t live without them. Also, my ice cream maker in the summer, it churns away weekly. 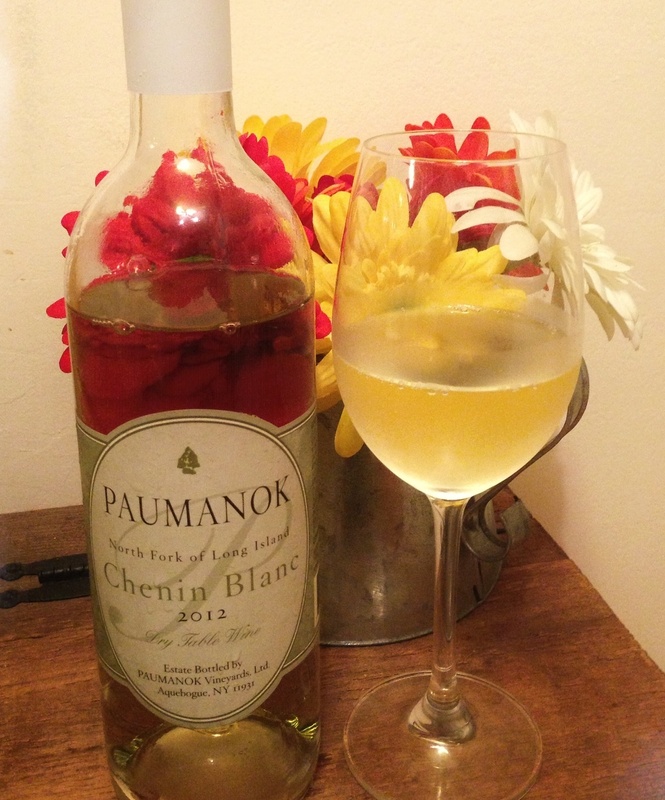 Have to see if my wine merchant has Paumanok, love summer in a glass!! You’re in Park Slope, right? Check Red White and Bubbly at 5th and Union. Pretty sure I’ve seen Paumanok there. I love this take on the photo challenge! 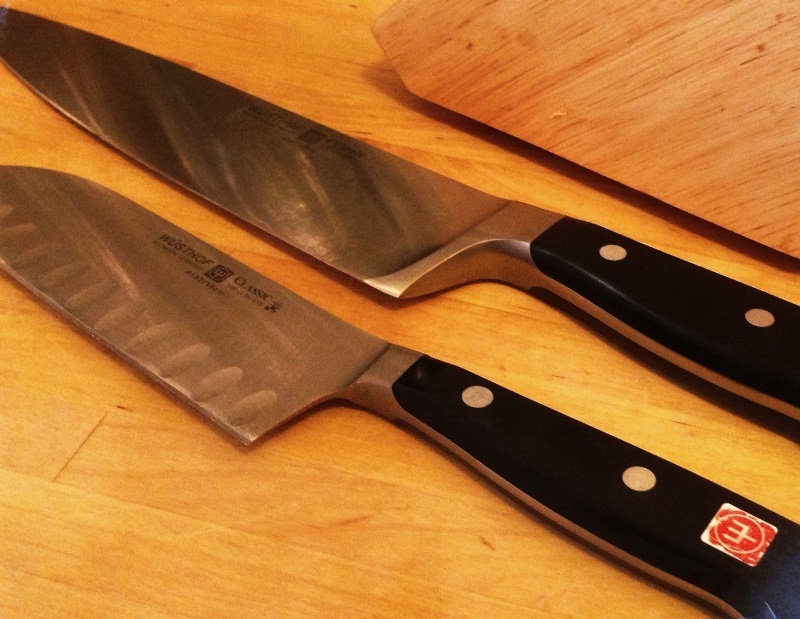 By far, my knife is my favorite kitchen companion and i subtly or not so subtly put it in many of my photos too. 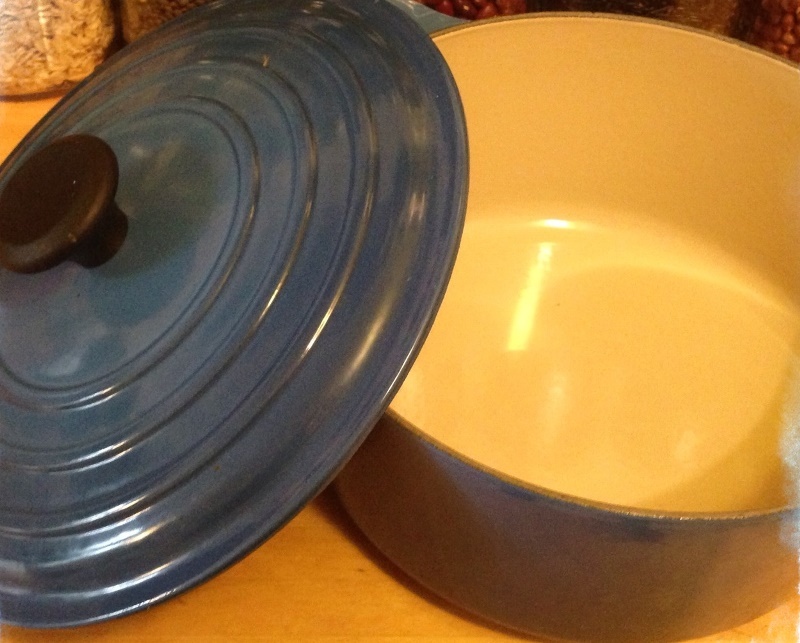 2nd would be my dutch oven, and a close 3rd would be my nesting bowls, of which I have the same set. Great minds think alike! 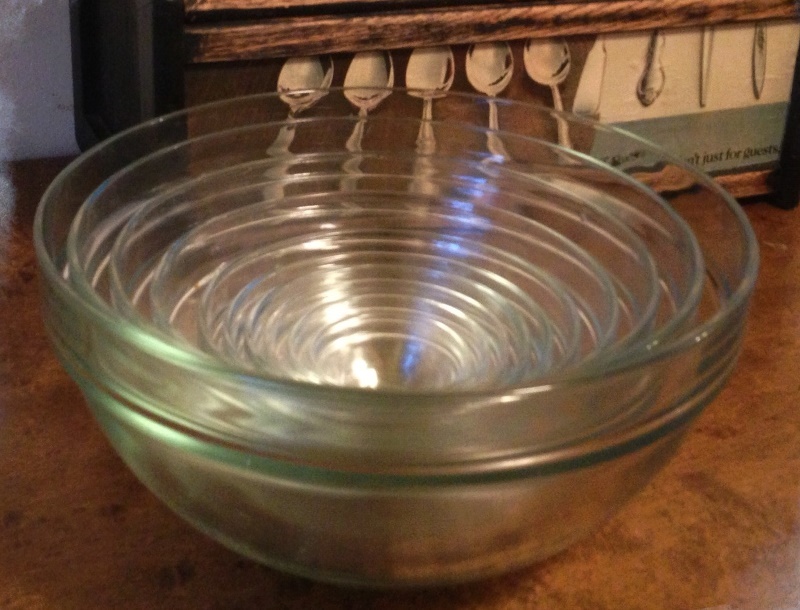 When I put the nesting bowls on my wedding registry, it was more for the “cute” factor. I never imagined how much I’d use even the smaller ones. 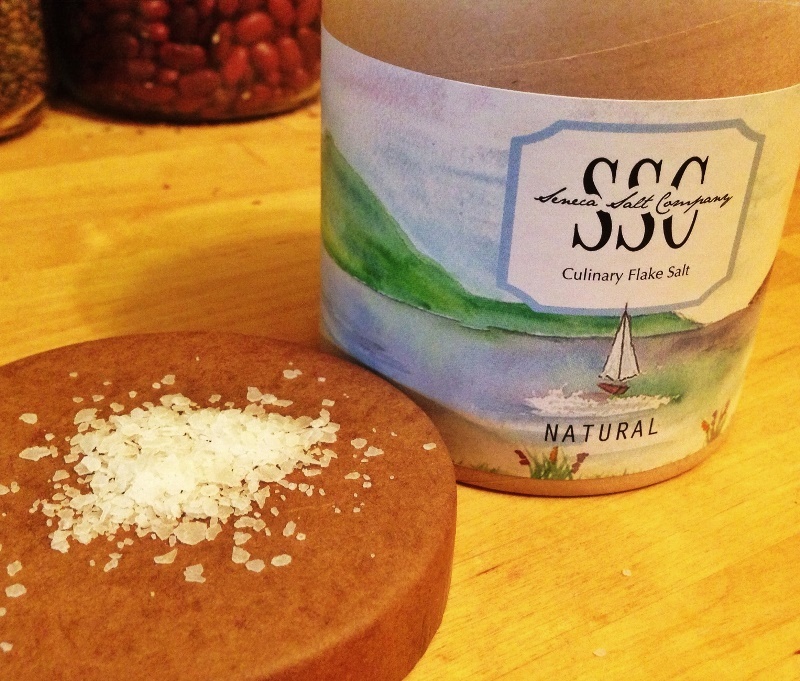 The tiniest is perfect for minced spices or letting an egg warm to room temp! Beautiful interpretation. And thank you for the trackback! You’re very welcome and thanks!